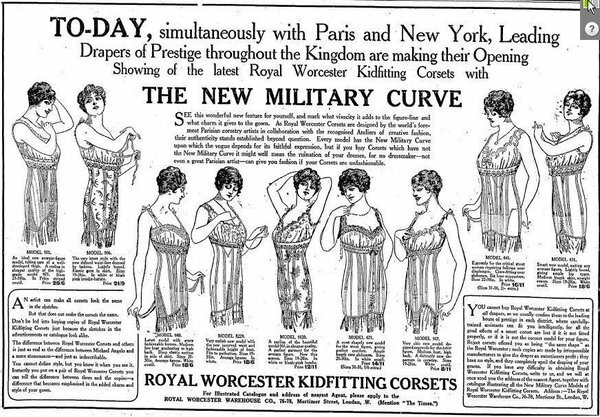 ‘There are certain garbs and modes of speaking, which vary with the times; the fashion of our clothes being not more subject to alteration than that of our speech’. This quotation from John Denham was used by Samuel Johnson in the eighteenth century as he gathered up his own collection of words for the Dictionary. Nevertheless, while written long before WWI, Denham;’s words remain interestingly resonant for the Words in War-Time archive in 1914-15. 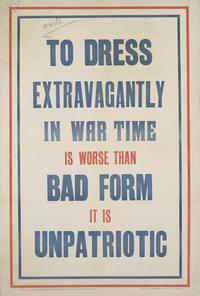 As Andrew Clark noted in the archive, ‘mode’ as seen terms of war-time fashion could display a striking consonance with war itself. Language moreover acted as a ready conduit for such ideas, revealing the new – and highly fashionable — prominence of items such as cartridge buttons or colours such as Joffre blue for the new season.